Need to carry some extra supplies in your X3? Check out our UTV Inc. X3 bed storage rack. Click on the link below for more info. Thanks Nick. This rack is going to work out awesome. Thanks for the feed back, we love to see the real world application. your site says out of stock. When is it back in? Those are currently going through production and we should have them back in stock soon. We have the X3 bed rack storage tray's back in stock. Click on the link below for more info. Needing a solution to carry anything and everything with you on your ride? 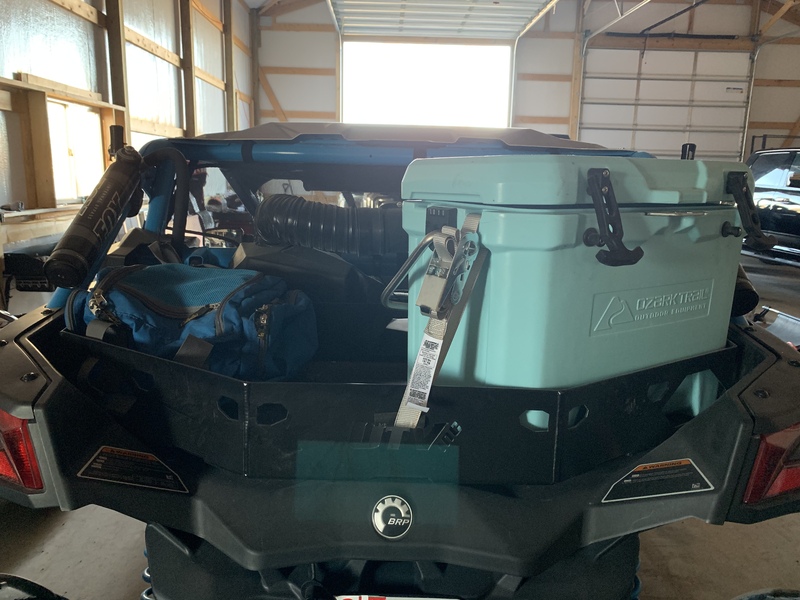 Well, the UTV INC Can Am X3 Bed Cargo Rack Storage Tray is your solution! 2.25 cubic feet of interior storage space! Tray system has multiple tie down locations to hold coolers, boxes, bags, etc. with your traditional bungee cord type holder. Also features slotted drain holes for dirt, sand, water, and other debris that may enter the rack. Laser cut in house from 0.125" aluminum, TIG welded, stainless steel hardware included & powder coated black! Need to pack a lot of gear for your next trip? Check out our UTV INc. X3 rear storage rack tray. Click on the link below for more info.